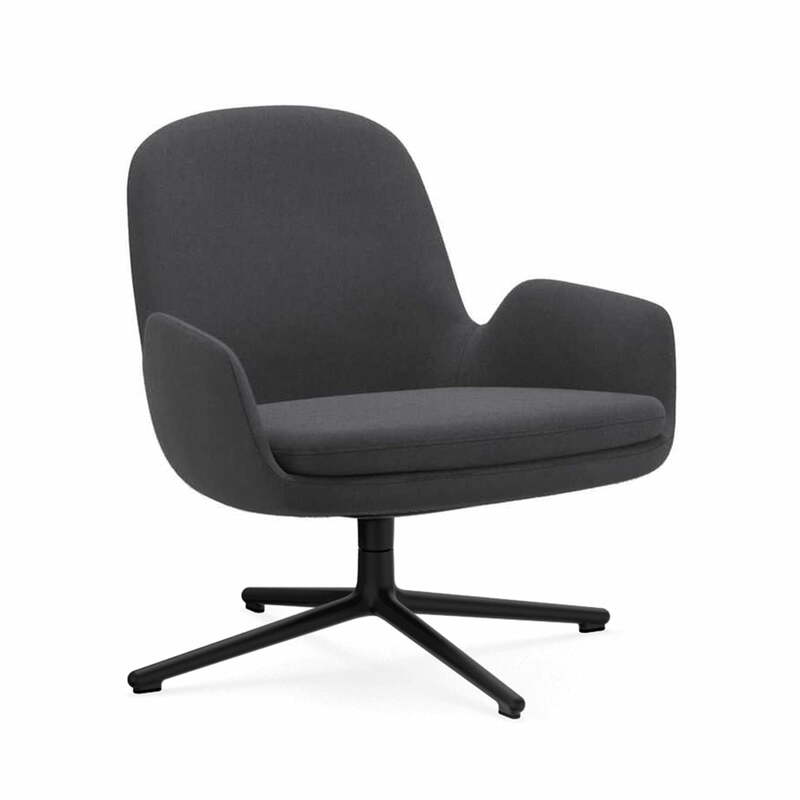 The Era Lounge Chair by Normann Copenhagen is timeless, nostalgic and curvy. Designed by Simon Legald, the armchair belongs to a series of seating furniture designed to last for generations. This is why the armchair is just as suitable for design lovers or families with children as it is for young people or their grandparents. In the metal version, the base of the armchair is made of aluminium, chrome or lacquered steel. The base is available as a four-legged or four-star frame, with an optional swivel joint. The massive seat shell on the filigree frame consists of hardened and moulded PU foam with steel reinforcements. They are available in different sizes and colours. The wide, shaped cushion and the curves on the back of the lounge chair guarantee optimum seating comfort. The version with the high back provides support for the neck and is therefore perfect for resting. The low version fits particularly well in smaller living spaces, because it is visually smaller. 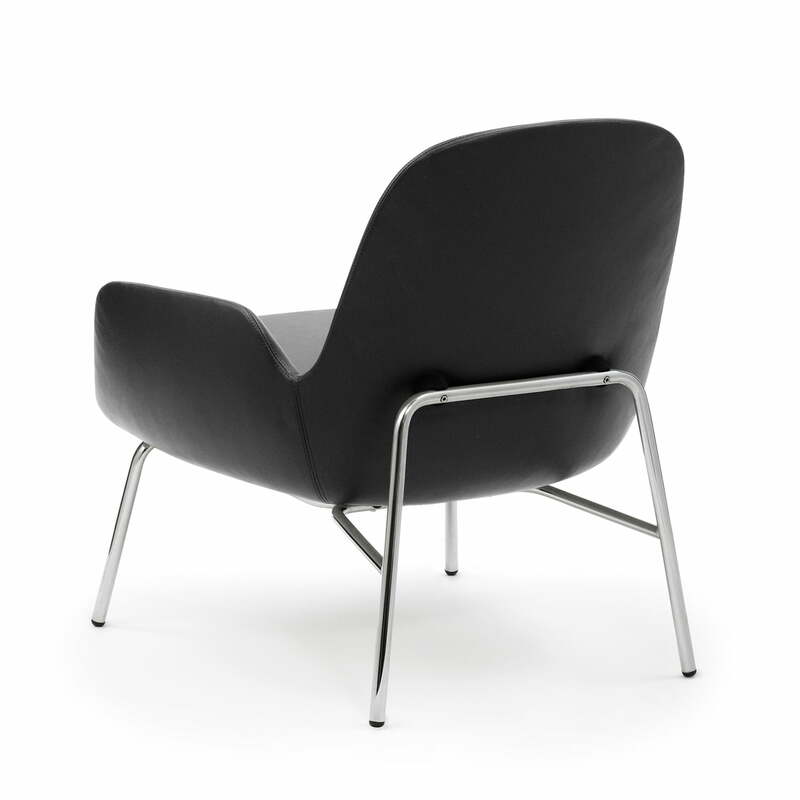 Isolated product image of the Era Lounge Chair Low by Normann Copenhagen with a four legged frame in black aluminium and a Gabriel cover in black (Fame 61134). 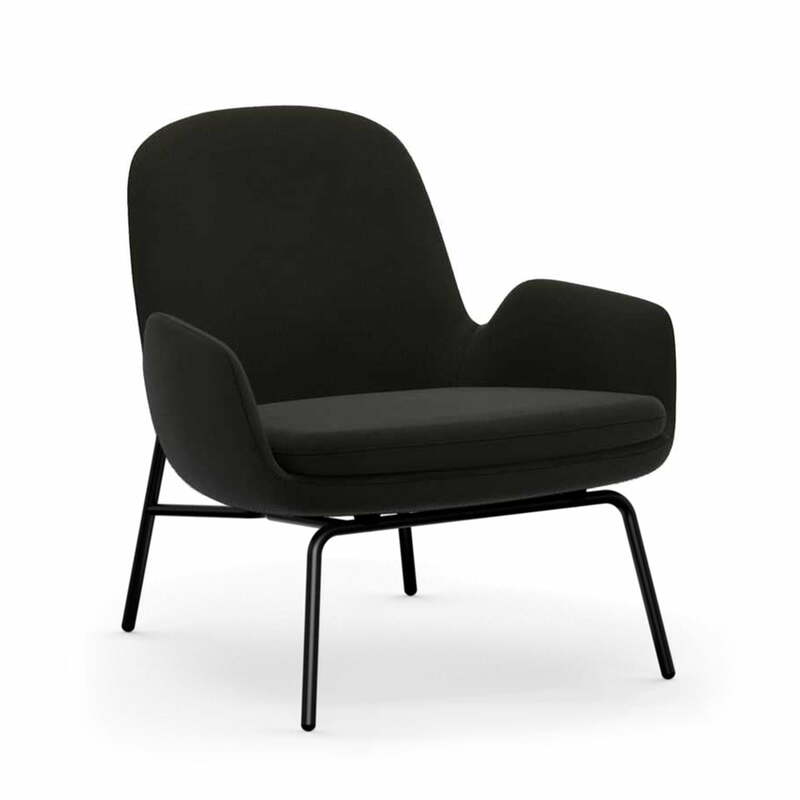 Isolated product image of the Era Lounge Chair Low by Normann Copenhagen with a four legged frame in black aluminium and a Gabriel cover in black (Fame 60003). 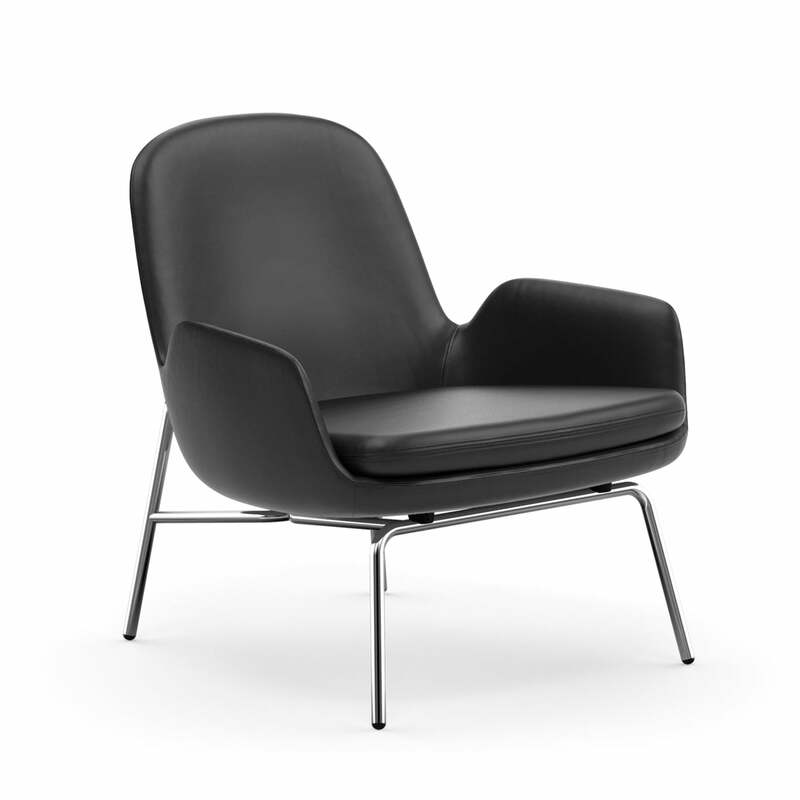 Isolated product image of the Era Lounge Chair Low by Normann Copenhagen with a chromed aluminium frame and black leather cover (Ultra Leather 41599). Isolated product image of the Era Lounge Chair Low is suitable for different rooms at home and can be used for different purposes as the requirements change.